On a beautiful Thursday afternoon the weather is just perfect In the 70's and breezy, the birds chirping and it's peaceful. Your Bell ringing gently from the breeze giving the sound of the one you pick dogs barking in the distance. That moment you realize you picked a nice place to live. You are gonna be thankful that you purchased the Bell, and the spot on sound they mimic. There it's no comparison, try it for yourself and see what you think. My wind chime and attachment was exactly as I thought it would be. The sound is perfect and I can close my eyes to be at the beach. Thank you. I know it will bring many years of pleasure to us. My cousin and her husband built a ‘green home’ and moved into it in the fall. It has been a busy time for them and then she had surgery! I had her look at Grommet and we chose together- the bell tone reminds her of early days with her family in Maine. It arrived in a very timely manner and cheered her up! I want one! Bought one and loved it so much so I ordered another, sweet soothing sound !! I have bought 4 for gifts at Christmas and just bought one for myself. Everyone that got one loves it. Excellent product. 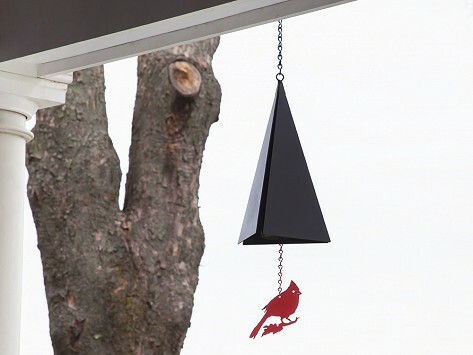 I may not have a North Country Wind Bell but it is very similar. It was my parents and I would say it is at least 50 years old. The chains are rusted and about to give out; the original wind catcher fell off and is missing but the sound is clear. This is a lifetime gift. I love coming home and heading these. I mentioned this would be good for my brothers house, so my mom bought me one as a Christmas gift. They have a great sound and seem durable. I have them on my back porch and they aren’t overbearing, even though it’s usually pretty windy at my house. I have bought some for my mom in return, as well as a friend of mine. I hope they will enjoy them as much as I do! Very sturdy, well-made quality gift. The biggest problem will be where to hang it. Gifted this to my husband on Valentine's Day. And even though it arrived after the big day, he loved it anyway. The Puget Sound has a lower tone ring, which he prefers. 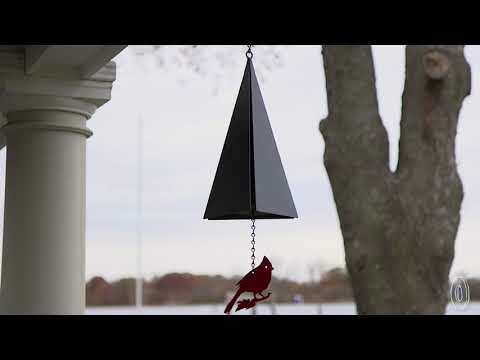 It's sturdy, yet beautiful and we love the red cardinal swaying in the breeze.